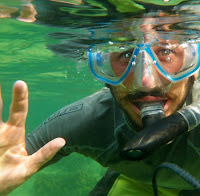 "It was a memorable experience," one of the Water & Wave students concluded yesterday on his last day of the course. This reflection may be a result of the fact that Water & Wave students spent 20 days on a river, they went to three countries in 70 days, they got scuba certified, or even that they learned how to carve and paint gourds. OR it might actually be because of the number of "odd connections" among the group of students and instructors. The only female student on course, Caroline, attended the same Mount Pleasant, South Carolina high school (Wando High School) as our Surf Instructor, Alex Cook. Student Scott Turner went to the same Doylestown, Pennsylvania high school where his own Course Instructor, Sean Marr, went: Central Bucks High School West. Student Craig Dietsch's family lives next door to the New Jersey family summer home of his Course Instructor Sean Marr. Actually, their parents have known each other for years, but only recently made the connection that their sons are on course together. As we say "adios" to the Water & Wave students today, we have this lesson to share with future students: If you sign up for a course in the depths of the rainforest to escape home and your social circle, you might be surprised to find someone who knows your sister's friend's stepdad's niece. "It's not overkill to keep a survival kit in your house or your car." As we prepare for the upcoming "Jungle Survival" course running for 24 days this July, we have found some very helpful and interesting survival techniques not strictly meant for the middle of the rainforest. The Survivorman himself, Les Stroud, recommends having this survival kit handy in everyday life, too. This is not the list to ensure survival, but rather a recommendation to better the odds based on the four priorities of survival: drinking water, food, shelter, communication. So the next time you're heading out the door, be sure to stuff your backpack or purse with your survival kit. Watch Stroud's video about packing this box. What Can I Do With WRT? "Anyone who wants to do avid rafting should get WRT certified because it's helpful for learning to read and respect the river. By understanding the river, you can avoid putting yourself in danger when kayaking and rafting. You can safely have fun riding and doing tricks in the rapids as your skills improve." Leadership students are on certification numero tres (#3) this semester: Whitewater Rescue Technician (WRT). (It can also known as Swiftwater Rescue Technician (SRT) because both courses teach basically the same material, but the emphasis of each course is different for different types of rescue professionals.) With this training, students learn to use or deflect the water’s power to assist in the rescue of an endangered person. River Instructors Joe Ewing and Diego Lopez have been putting them through drills for the past two days on Río Pejibaye with two more days to go. By now, Joe and Diego expect them to know that an eddy (horizontal reversal of water flow due to an obstacle) is the "safety zone" in the river; that a throw bag (a rope-filled bag used to rescue swimmers with one end of the rope connected to the inside of the bag) is the most essential item to have with you on the river; and that a strainer (buildup of debris such as rocks and logs which restrict downstream flow) is one of the more dangerous places to be on the river. Their River Instructors will put them through drills, such as the Victim Rescue. Antonio Lopez explains this as a "really fun" and helpful activity when students have to jump into the river (in a safe area, of course), grab the "victim," float downstream with that person, then rescue him/her to the banks of the river. This WRT certification covers it all, from River Categores (I through VI) and types of rope to the 15 Basic Rules and how to plan for a helicopter rescue. The manual our instructors use (pictured right) is 129 pages alone. 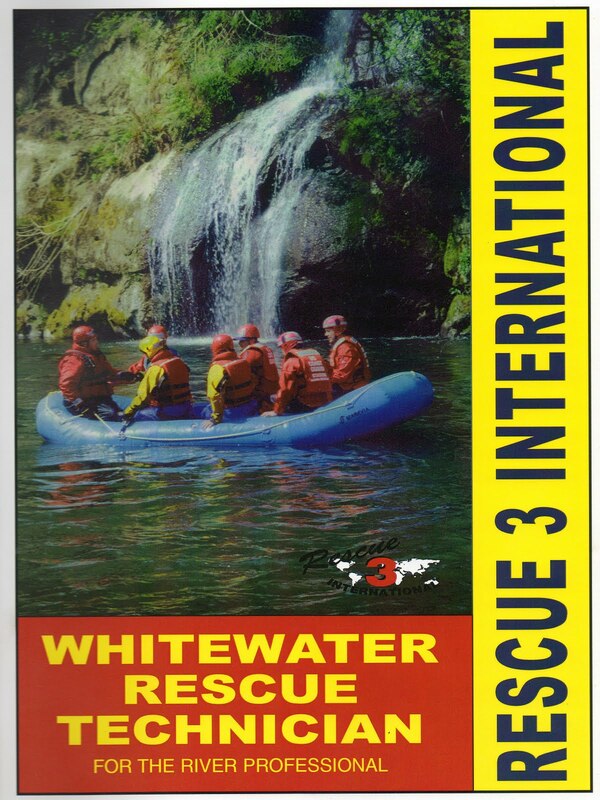 They learn how to tie anchors, swim in any part of the river, and most importantly, rescue any person (including themselves) in any whitewater situation. All students' certifications are recognized by Rescue 3 International through which all Costa Rica Outward Bound river instructors are certified to teach. Its curriculum has been "tested and refined by a global network of instructors who have taught more than 150,000 students in 35 countries." It prides itself on its "dedication to providing students with practical, real world experience." All Costa Rica Outward Bound semester courses get trained in WRT due to the amount of time they spend on the river rafting and kayaking. And students are happy to get this training because it helps them overcome their fears of it. They also learn skills which make them proud. When Heidi reflected on earning her WRT certification, she told us, "When I started with rope throwing, I could barely get it out of the [throw] bag; but by the end I could do two [accurate throws] in under a minute. It's great knowing you could put it to use to help someone." 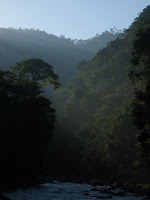 It was typical weather on a cloud forest afternoon: a streak of sun poking through the clouds once every twenty minutes, haze blowing through the trees in thick and thin streaks, overall white skies, and a perfect temperature. But this Saturday afternoon was a little different for the Lopez family. 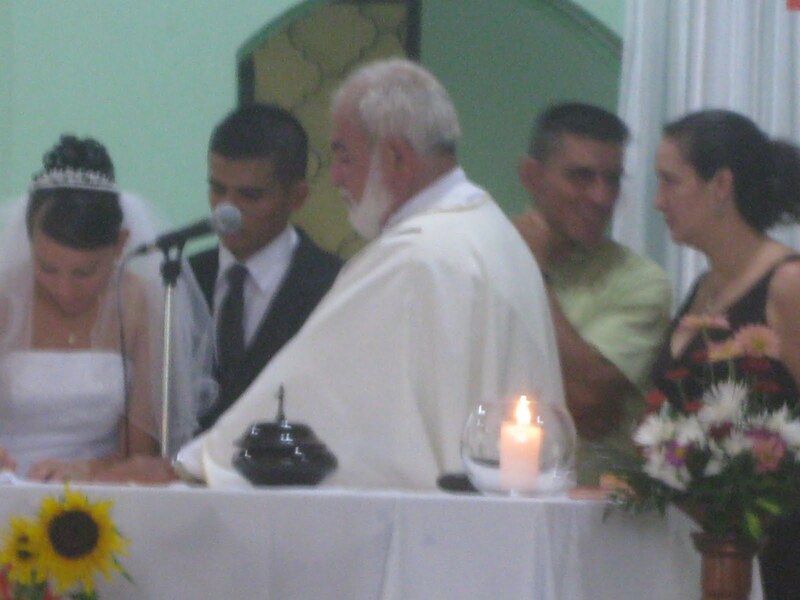 On April 24th at 4pm, in a tiny iglesia (church) in a pueblo called San Ramón del Sur, 22-year-old Hormidas Lopez was being wed to his prometida, Karen. 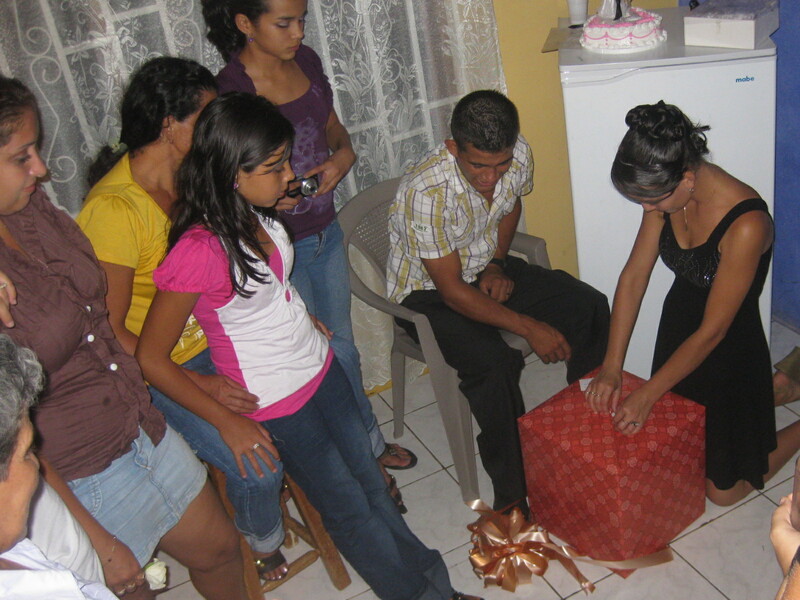 The church surprisingly had enough room to fit the Lopez's, their extended family, and their friends. And this made it extra special for us at Costa Rica Outward Bound, too, as we saw most of our homestay families, most of our Tico instructors, and all of their families. In attendance were: Don Hormidas and Doña Flor Lopez (the infamous homestay parents), Orlando Zamora and his five kids (homestay family and Land Instructor), Felipe Lopez (former Whitewater Coordinator and River Instructor), Luz Mary Lopez (wife of Land Instructor, Carlos Grenados, homestay mom) and kids, Antonio Lopez (Logistics Manager and former River Instructor) with his wife and two kids, Santiago Lopez (River and Land Instructor) with his wife and kids, Diego Lopez (River Instructor) with girlfriend Nikki Prevatte (former Piedras Blancas English school teacher), Pablo Lopez (Land Instructor), and Marielos Lopez with husband and children (homestay family). The simple and beautiful Catholic ceremony went well. It was very similar to typical weddings most Americans have attended with less "hooplah." Just as we have all learned on course while staying with the Lopez's, it was also evident that this wedding was about family - not about material possessions. The ceremony had only one groomsman (padrino, Felipe Lopez) and one bridesmaid (padrina, Patricia, Felipe's wife) who signed the official wedding documents near the end of the mass. And just before they played the closing song, Felipe announced an open invitation for everyone to come to his new house for a party in celebration of his brother and new sister-in-law. There seemed to be over one hundred parents, grandparents, kids, neighbors, brothers, sisters, and friends moving about the front lawn and around the one-story neighborhood home. For the first hour or so, everyone greeted those they hadn't seen in a long time, while the kids ran around jumping and falling. They passed out small cups of Coke for everyone as they chatted. Meanwhile, back in the kitchen, Doña Flor, Felipe, Luz Mary, and a few other sous chefs helped make 10+ gallon pots of chicken/vegetable mixed rice and fresh salsa for chips. Children volunteered to hand out plates to the scattered guests; but dinner plates first went to the bride and groom at their special VIP table covered with a white table cloth and bubbling champagne glasses. The most amazing thing was seeing so many of the Lopez's all in one place. It was a beautiful night to talk, dance a little, and talk some more. As in typical wedding tradition, Hormidas and Karen cut the dulce de leche cake together, but they didn't rub it in each other's faces! As the night came to a close, we watched them open gifts. Aside from this, the only other difference between American typical wedding receptions was that everyone changed clothes to be more comfortable at the party. View photos of their Wedding Day on our Facebook photo album. 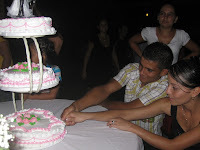 View photos of their Wedding Night on our Facebook photo album. 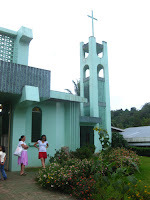 Día de la Tierra (Earth Day), on April 22, is a big day for Costa Rica. It could be because Costa Rica does so much to preserve its land and rainforest. In fact, the government presented a plan to protect 18 percent of the country in national parks and another 13 percent in privately owned preserves in 1995. And now, Costa Rica has an ambitious conservation program - perhaps one of the most developed among tropical rainforest countries - that protects more than 10 percent of the country. 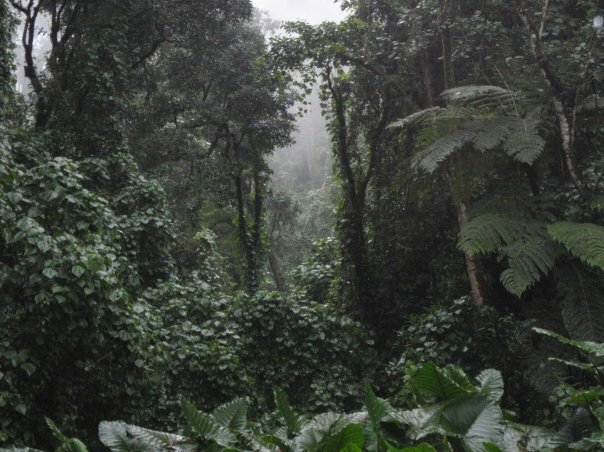 Due to these programs of conservation of its rain forest, Costa Rica remains in the top ranks on the 2010 Environmental Performance Index (EPI). Only 6 percent of the country is arable, the smallest percentage of any of the Central American countries. 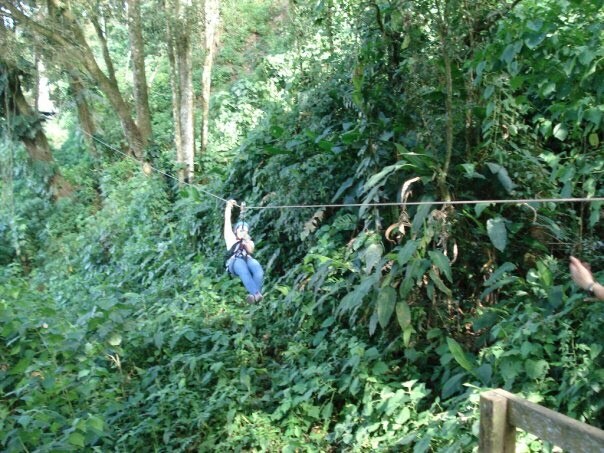 Over 34 percent of the country is still forested, and there have been stringent ecological controls, with the Costa Rican tourist industry relying on an eco-friendly image. 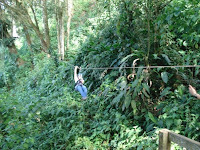 Twenty-seven percent of Costa Rica is covered by a system of national parks, wildlife refuges, and biological reserves. 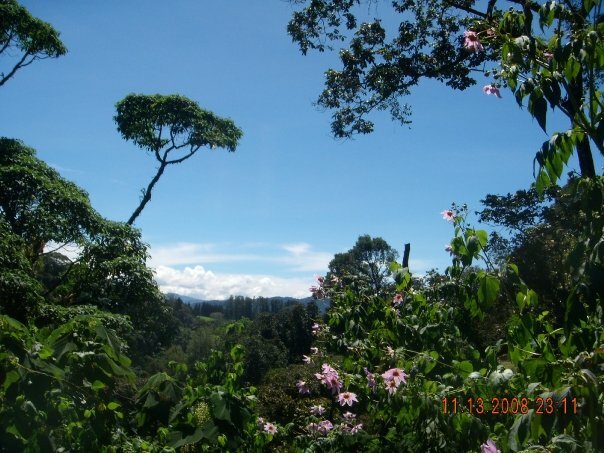 Even around San Jose, the largest urban area of Costa Rica, there is a 200-meter "Green Belt," an environmental buffer zone that encircles the greater metropolitan area. 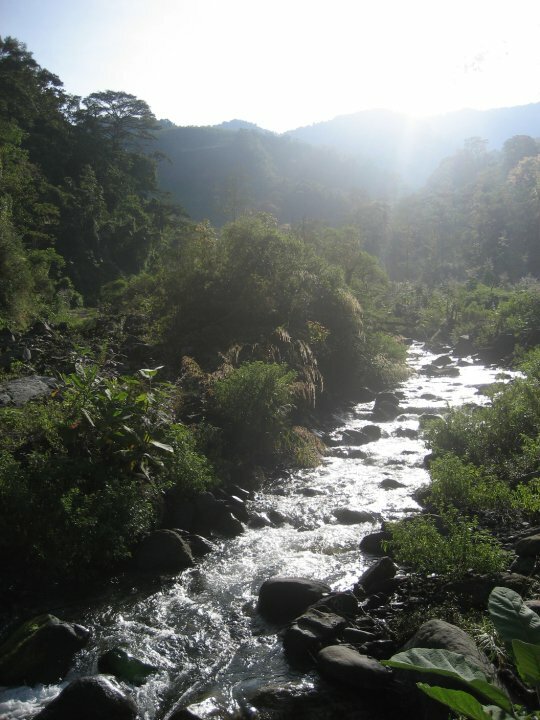 Yet, with all of these efforts to be environmentally aware, Costa Rica still faces issues of deforestation and land use change (as a result of cattle ranching, agriculture, mining, urbanization), soil erosion, coastal marine pollution, fisheries protection, solid waste management, and air pollution. In the last 4 years pineapple production has expanded from 15,000 hectares to more than 54,000 hectares. 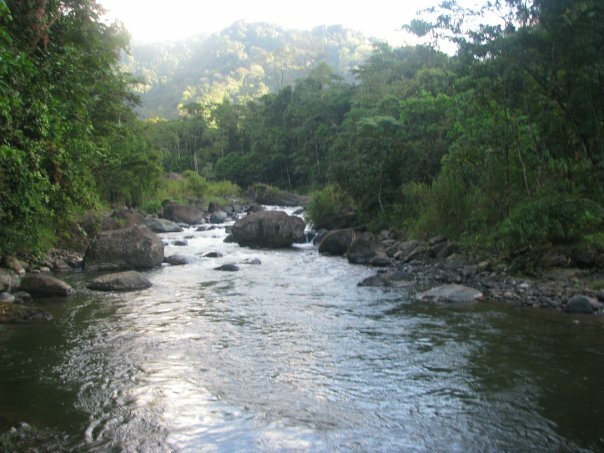 In 2008, the restriction on mining for metals in Costa Rica was lifted. Some groups want to urbanize in the reserved "Green Belt" around San Jose. Rainforests are important for many reasons, aside from the 50 percent of the Earth's animals and plants they protect. Medicines of all kinds come from the rainforest. More specifically, seventy percent of the plants identified by the U.S. National Cancer Institute as useful in the treatment of cancer are found only in rainforests; more than 2,000 tropical forest plants have been identified by scientists as having anti-cancer properties. Rainforests are critical in maintaining the Earth's limited supply of drinking and fresh water. And these days, with Global Warming on everyone's mind, it is important to know that rainforests act as the world's thermostat by regulating temperatures and weather patterns. Costa Ricans are recognizing Earth Day a few different ways this week. Namely, there was an Earth Day Celebration at Volcán Poas National Park yesterday all day. The local Rotaract club is running a recycling program this weekend. 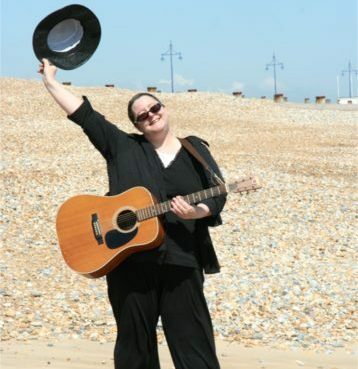 Local radio hosts are running environmental debate programs all week. Costa Rica has maintained its participation in worldwide efforts to increase the earth's health outside of just Earth Day. It is a member of the following international environmental agreements: Biodiversity, Climate Change, Climate Change-Kyoto Protocol, Desertification, Endangered Species, Environmental Modification, Hazardous Wastes, Law of the Sea, Marine Dumping, Ozone Layer Protection, Wetlands, Whaling. Signed, but not ratified: Marine Life Conservation. They even have an E.A.R.T.H. University! With all of this giving back to the environment, it makes you wonder if it has an effect on Costa Rica being rated the world's happiest place. Save water by making toilets low-flow: About 75 percent of the water we use in our homes is used in the bathroom. 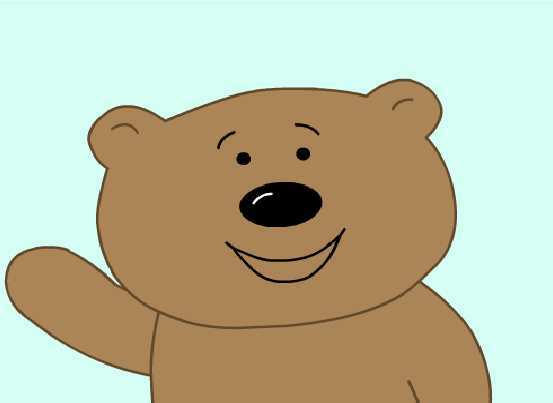 Turn off lights you're not using: Lighting consumes up to 34 percent of electricity in the United States. What do they do with all of those skills? This "Leadership Series" has finally completed answering this question for seven Leadership alumni as we anticipated the coming of our current Leadership Semester course students who arrived on April 1st. This week we profiled a second Alex, the last of our seven profiled leaders. Hometown: No Name, CO - "Yep, it exists." Currently: Alex just returned to his 1978 35' cutter-rigged sloop sailboat home (see photo on right) in San Francisco, CA after guiding a 2nd 21-day river course this year for us. 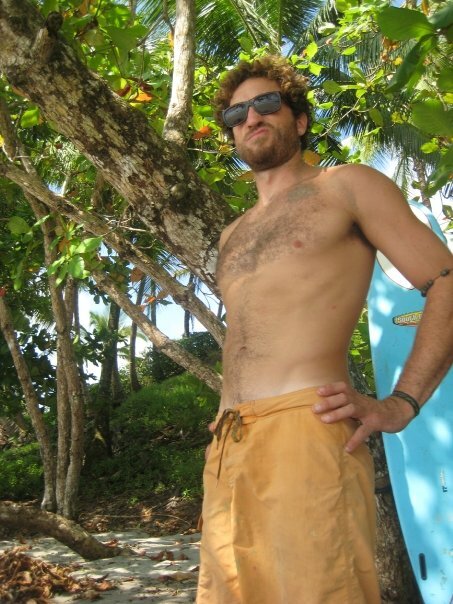 Before that, Alex had returned as a Costa Rica Outward Bound river guide multiple times. 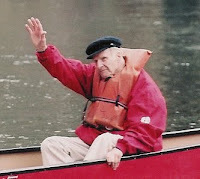 However, this isn't the only kayaking and rafting Alex has done since his Leadership Semester back in 2005. Alex is quite the rafting rockstar. He worked for six months as a guide in Chile's famous class V Futaleufu River, ran some rivers in Mexico and in the Grand Canyon, and he continues to guide at California's oldest rafting company, Sea Trek. In addition, he should be receiving his Captain's License soon, which will be a nice complement to his sloop residence. Reasons Enrolled: Back in 2005, Alex's plan was to blindly scope out some whitewater work on Central America's most famous and beautiful rivers. His mom allowed him to leave on one condition: that he start by taking this Costa Rica Outward Bound Leadership course for "getting his feet on the ground" in this foreign land. Future Aspirations: While Alex works with Sea Trek, he is also preparing to complete his paramedics certification through the National Registry of Emergency Medical Technicians. With this certification and his years of experience on class V rivers and in the outdoors, Alex will be marketing himself as one of the few Expedition Medics. 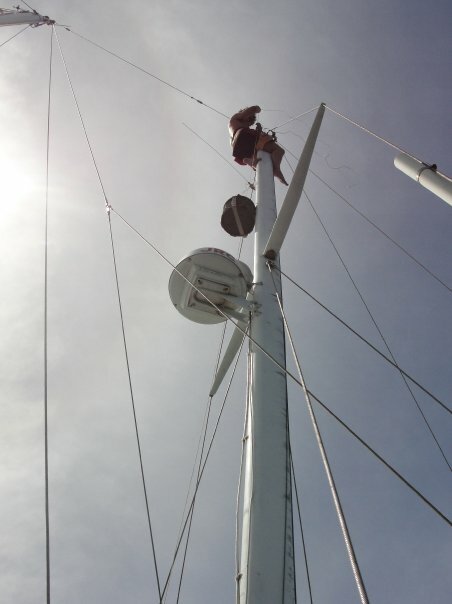 All career aspirations aside, he also plans to sail around the world and "touch the stars." Favorite Course Moment: There are two. One was Alex's first kayak trip down the world-famous Río Pacuare on red level. The second was seeing the Lopez family's faces upon arrival to Piedras Blancas, which is when he realized what a special place he had entered. The Costa Rica Outward Bound Leadership Semester is meant to prepare students in such a way that they can use the skills they develop to use in a career and/or any leadership role. This 60-day experience consists of: earning nine internationally-recognized certifications and 12 school credits; learning how to surf, kayak, raft, rappel, camp, and scuba dive; and facing the challenges and responsibilities involved with any Outward Bound course. It's hard to believe Michaela Zimmerman, at 13 years of age, not only lives in China as a member of USA Girl Scouts Overseas, but is ready to travel 8000+ miles to get to Costa Rica for this summer's Rainforest River & Reef Girl Scout course. 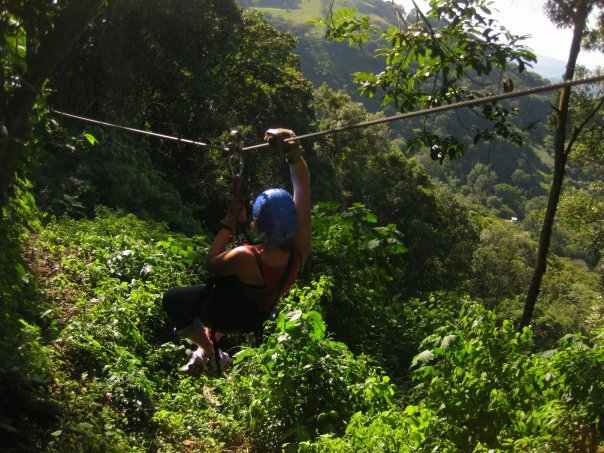 She explains, "This would give me a great opportunity to go [to Costa Rica] and learn about their country, their culture, and their rainforests... because I am a very eco-friendly person who loves the outdoors... and interested in learning a lot about it.... I want to experience Central America.... Some of my friends are from there. I want to experience its culture, history, environment, and archeology.... I think it would be nice to meet some other girls that are Girl Scouts around America and the world.... Since we will be doing a homestay I think this is a great time to use my Spanish and practice it. This will help me in my school next year and with my communication skills. At the homestay, I would also like to learn about the Costa Rican culture and about their foods...."
Michaela has lived in China for eleven years, seven of which she's been active in Girl Scouts. 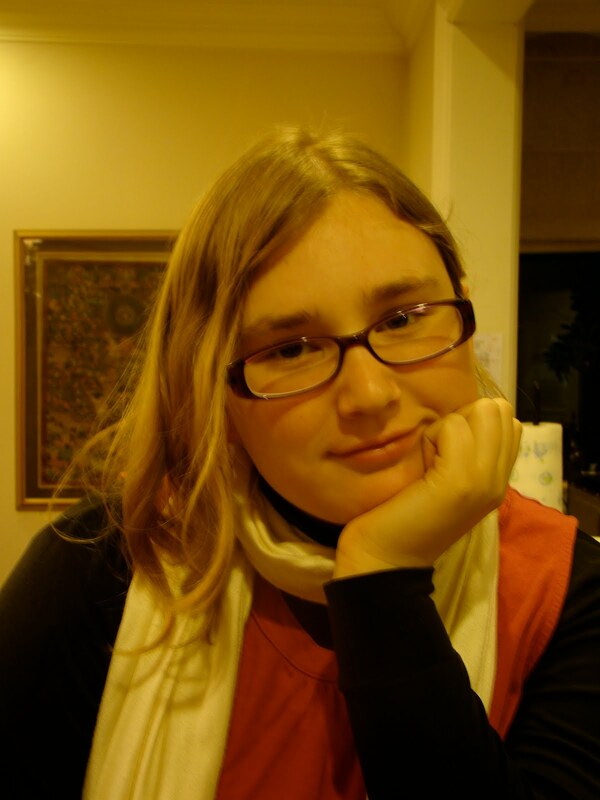 She travels (including places like Thailand), cooks, kayaks, hikes, camps, plays piano, acts, and scuba dives. Not just that, "Michaela is a natural leader," says her Western Academy of Beijing principal. This is evident in her role as Vice President of Student Council and as the creator of a school play. "She is a good role model for others... and is able to quickly determine the strengths of individuals and utilize these in what works best for an ensemble," explains her drama teacher. 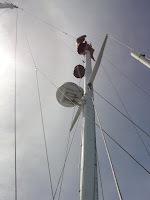 As all Costa Rica Outward Bound courses require each student to fulfill the role as leader (called a "cacique") for one of the days on course, Michaela will transition into this role quite nicely. "Overall I think that this camp is a very good chance for me to see the best of Costa Rica and to have fun with other Girl Scouts." *The Destinations program, on behalf of Girl Scouts USA, is a chance for members to participate in enriching travel and adventure opportunities, ages 11-18. Girl Scouts must apply through their respective Councils. Applications consist of an essay explaining their ambition to attend, two recommendations describing her as a qualified participant, and a general Q&A portion. 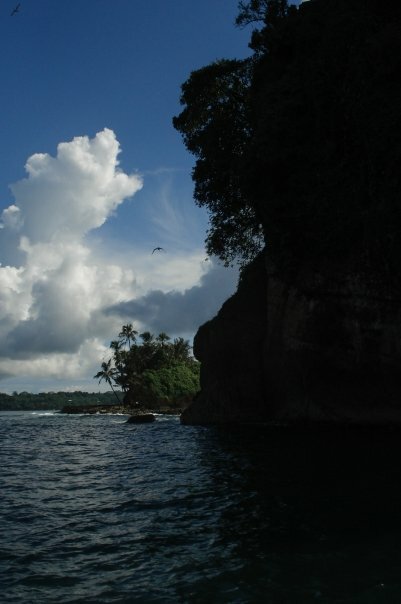 Costa Rica Outward Bound has been a Destination location for more than five years. In 2010, there are four Destinations for ages 13-18: Underwater Explorers, Rainforest River & Reef, Service Challenge, and Catching Waves. Click on the studio2b links on their respective crrobs.org pages to find the applications. 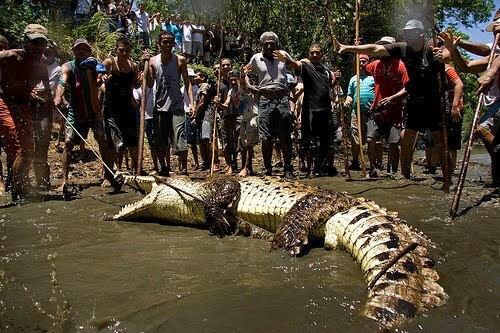 Christ has died, now let's go catch a crocodile? 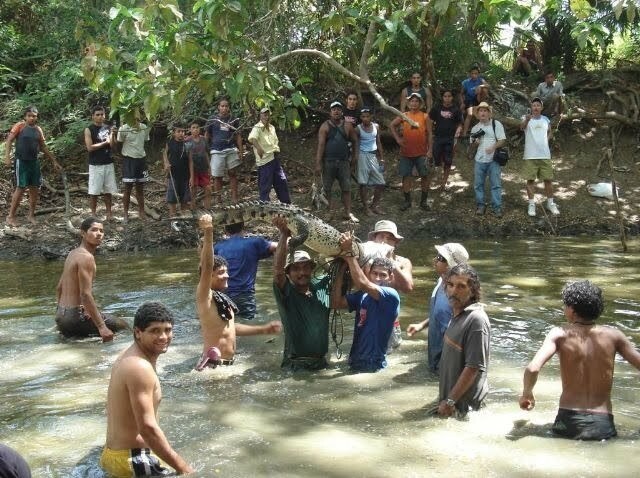 During Semana Santa (Holy Week), some Costa Ricans from the Guanacaste province, go on a crocodile chase called "Lagarteada" (in Spanish, lagarto means lizard). And while this tradition is controversial, it still made its way into the celebrations of Costa Ricans this year (see photos below). During this unique tradition, men capture a crocodile (with their bare hands) and tie it up in the middle of town. It is then released the following day. And yes, this tradition is protested by animal and environmental activists. Those in charge of the tradtion, however, do promise to take care of them and only trap more mature crocodiles for the event. It's an old tradition, dating back 150 years. No concrete information explains exactly how this began, but La Nacion describes how villagers used to enter the river to capture crocodiles, tie their snouts, and bring them back to the pueblo where they showed them to the other villagers in a small pool. The next day, they'd let them go. This year, the article reports that 3,000 people came to see the spectacle. To read the full article (and practice your Spanish reading skills), click here. 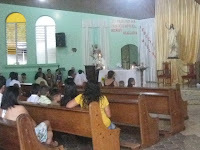 To read more about how Costa Ricans celebrate Semana Santa, click here. "I love the feeling of soaring through the air." For some, it's exhilarating. For others, it's their worst fear. 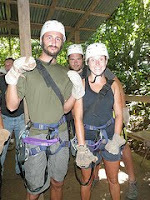 Both of these types of people would agree: it's the best way to see the upper canopies of the rainforest. Regardless of how you feel ascending that mountain, gear in hand, awaiting your flight from tree to tree; it requires no skill. Even the most terrified of heights can make this happen. "It was great once I finally opened my eyes!" Enjoy the ride and the view! And if this still doesn't help you, listen to Amber: "It helps to go with a guide the first couple lines... helps to ease your fears.... You're able to look out into the city and jungle, etc. which is calming.... And since you are clearly harnessed very tightly, the fear starts to subside and you get addicted to the rush of flying through the air." 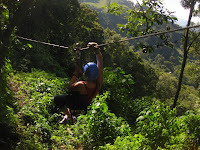 See zip-liners in action in this video! All students who pass through our base in Manuel Antonio love to see the surrounding trees filled with titi monkeys swinging from tree to tree in perfect view from our three-story base windows. Students watch them as they wake up and eat breakfast every morning. 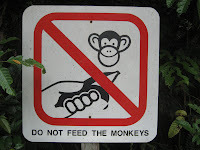 But they have to keep that breakfast to themselves and out of the hands of those monkeys if they want to help the environment, keep people safe, and keep monkeys safe. 1. The monkeys are very susceptible to diseases transmitted by human hands. Monkeys can die from transferred bacteria. 2. Migration to areas populated by humans (for food) increases the risk of dog attacks and car accidents. 4. 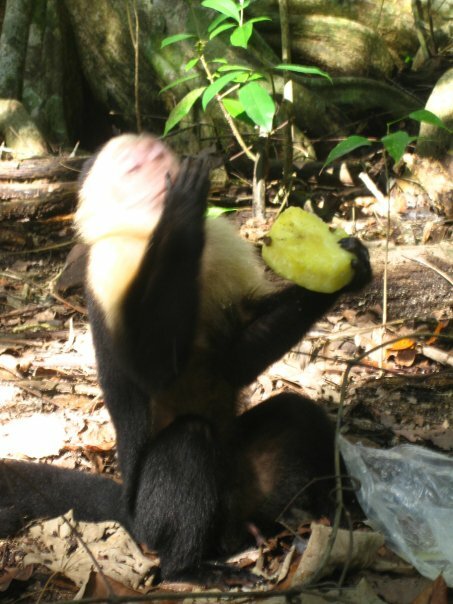 Contrary to the stereotype, bananas are not the favorite food of wild monkeys. Bananas - especially those containing pesticides - can disrupt the delicate digestive system of monkeys and cause serious dental problems that may eventually lead to death. 5. 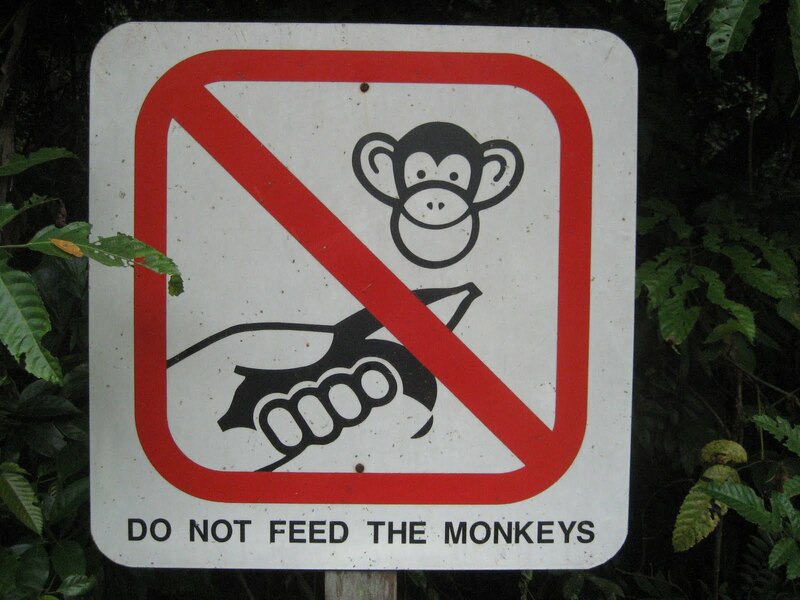 Feeding the monkeys creates a dangerous dependency on humans that diminishes the survival skills of the monkeys. 6. Feeding the monkeys interferes with the natural habits of the monkeys and alters the balance of their lifestyle centered on eating wild fruits, seeds, small animals and insects. 7. Contact with humans facilitates poaching and illegal wildlife trade. 8. If pregnant monkeys eat only bananas during pregnancy, the baby is at risk of malnourishment. Some never develop to term and die before birth. 9. Monkeys have to travel an average of 17 kilometers each day to be in good physical condition. If they know food is available in a certain place (from people), they do not leave that area and get the exercise they need. 10. Not only can humans transmit diseases to animals when feeding them by hand, but they can pass diseases to humans as well. *Debbie Mayer, one of the staff members in the communications office, knows #3 quite well. On a trip to the Cahuita National Park earlier this year, she stopped along the path to take pictures of many monkeys in the trees nearby. Suddenly she noticed how close they were getting, just before one jumped onto her tote bag to which she reacted by throwing the bag on the ground. The monkeys then sifted through her bag to find one pineapple slice to eat! (See photo on right) She had to use a stick to get her tote bag back. Apparently, someone had fed these monkeys some of the delicious pineapple - sold at the park's entrance - before. Think twice the next time you're passing through one of Costa Rica's many national parks and want to share your food with the monkeys; you never know what foods they'll crave later from innocent passers-by. These were some of the words exchanged among the spring Tri-Country instructors (Heidi and Santiago) and their students this morning just before the left for the airport. 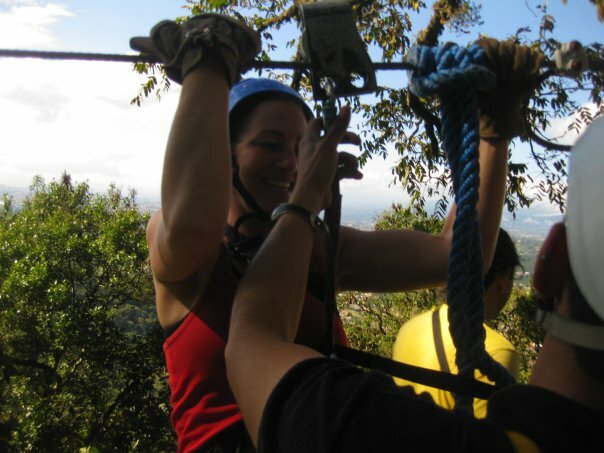 "My experience with Costa Rica Outward Bound was a great first step into a great future!" The course was 85 days. They hiked across the country, coast to coast. They went to Nicaragua. They camped on beaches and surfed. They went scuba diving in Panama, where they also snorkeled and went on a catamaran. They did it all. And it has come to an end today. "The greatest happiness comes after the greatest struggles." Many of the students rated the Hiking Phase as their favorite part. While this may be shocking to those who have heard it for the first time, it is not shocking to us. It is definitely the hardest work, the most rugged, and the most exhausting of any of the activities. However, students find it empowering to complete, and they love seeing how simply and happily the homestay families live in their remote villages. 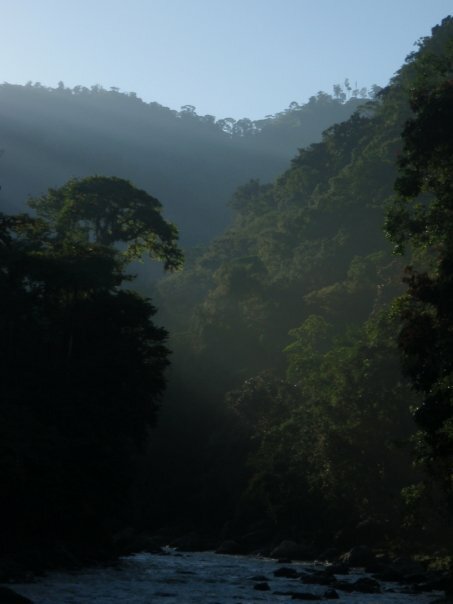 And to top it off, they are going to the most untouched areas of the rainforest that most people will never go. 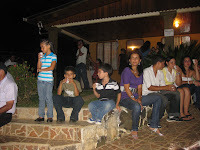 In these parts they are able to bond among one another and with the local families. They have time to reflect on life and find ways to make it better. Out on the Hiking Phase, life is simple and happy, just like the Ticos. "It was an amazing growing and learning experience." And in case you were curious, their Final Dinner last night, included barbecue chicken sandwiches with bacon, Caesar salad, and yuca (a common Costa Rican potato substitute) fries. It is not common for an incoming student to come from a rainforest-based hometown. Nor is it common for them to have spent long periods of time in a jungle before arriving here. Therefore, we do not expect our incoming students to fully understand a) how to dress while on course, b) the packing lists' clothing specifications, and c) the level of importance in each specification. In this video, our Associate Program Director (and lifetime outdoorsman), Scott Brown, explains standard rainforest garb, the importance of fabric choice in such a different and wet climate, and other clothing "amenities" that would make your experience much more comfortable. By understanding your clothing better, you can decide what is important to you when taking your credit card to the local outdoor retailer. And surprisingly, you may already have what you need in your own closet that could work well in this environment. For more packing list item explanations, go to our Packing List FAQ blog. ...and we're excited to have them back. United World Colleges (UWC) - its Costa Rica college - is returning for another Costa Rica Outward Bound course (their sixth year) as part of a leadership scholarship competition. Any why wouldn't we want them back, aside from watching their gardening techniques at a local school and enjoying their talent show? Well, with a mission "to unite people, nations and cultures through education in order to drive peace and a sustainable future," their values fall right in line with ours. But this makes sense since its roots come from the same international educator that started Outward Bound almost 70 years ago: Kurt Hahn. UWC was one of his many projects that helped encourage development in the experiential education arena. More specifically, UWC is "the only global educational movement that brings together students from all over the world – selected on personal merit, irrespective of race, religion, politics and the ability to pay – with the explicit aim of fostering peace and international understanding." Therefore, this weekend on April 10th and 11th, 60 students will participate in a course designed to develop leadership, mainly as part of a scholarship selection process. A handful of Costa Rican students who will be given the opportunity to begin a two-year study abroad program in Canada, Hong Kong, India, Italy, Norway, Singapore, Swaziland, the United States, Venezuela, the United Kingdom or Bosnia and Herzegovina later this year. Students' attitudes towards others throughout the weekend will give the selection team an idea of how these students might behave in other countries. Obviously, it is important that the chosen students will be able to adapt to incredibly different cultures and diversity. Read our newsletter article about last year's visit. "A general examination of a region" is the best way to define our missions out into new, undiscovered territory for updating courses and adding new ones in Costa Rica, Panama, and Nicaragua. 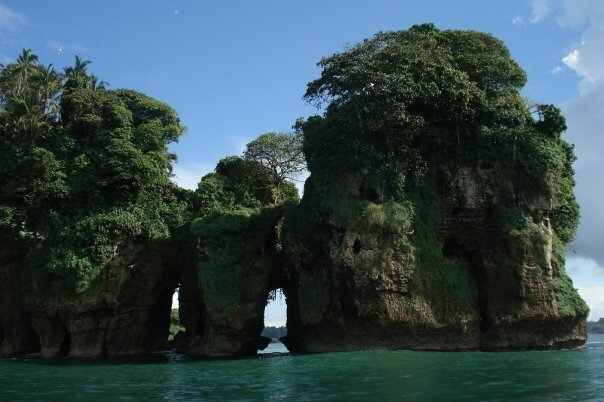 Lucky for them, they found it all in Bocas del Toro, and more. And it was all perfect for a sea kayaking adventure. Not only was the area overflowing with untouched, protected seas; but it also exhibited varied shorelines, mangrove islands, an interesting history, unique plant and animal species, indigenous communities (with whom we have already done a number of service projects), and lots of open water. For the past week, our Outward Bound USA students have been - hopefully - making that same discovery. They have kayaked from island to island while learning about Columbus' adventures hundreds of years ago, the unique species of plants and animals, the local people, and how to become expert kayakers. The next students who can see it with their own eyes are our Panamanian Kayak Adventure course students this summer. It's not every day that you can sea kayak around an area seen by fewer than 1% of the world's population.